are people who make mistake out of ignorance. International Bodhisattva Sangha (IBS) started the Prison Program since 1995. IBS was formally established as a 501(c)(3) non-profit organization in November 2006. 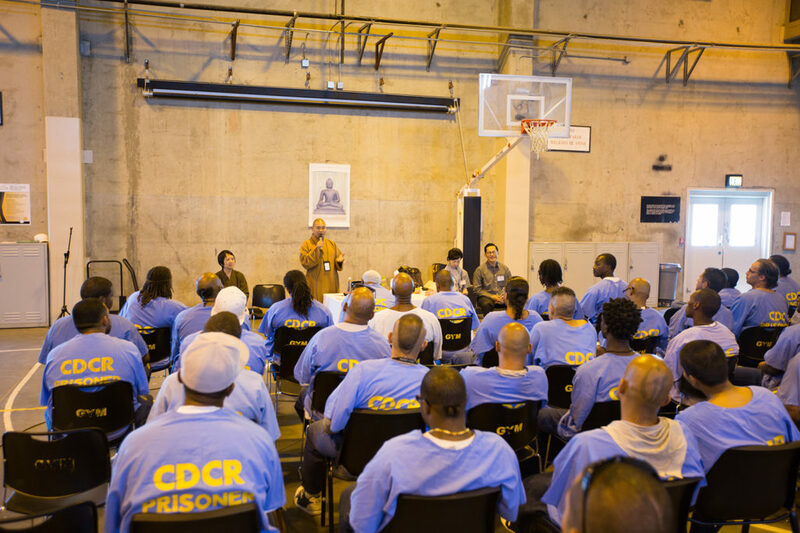 One of our main goals is to educate inmates in the state prisons about Buddhism, meditation, and the right way of life. 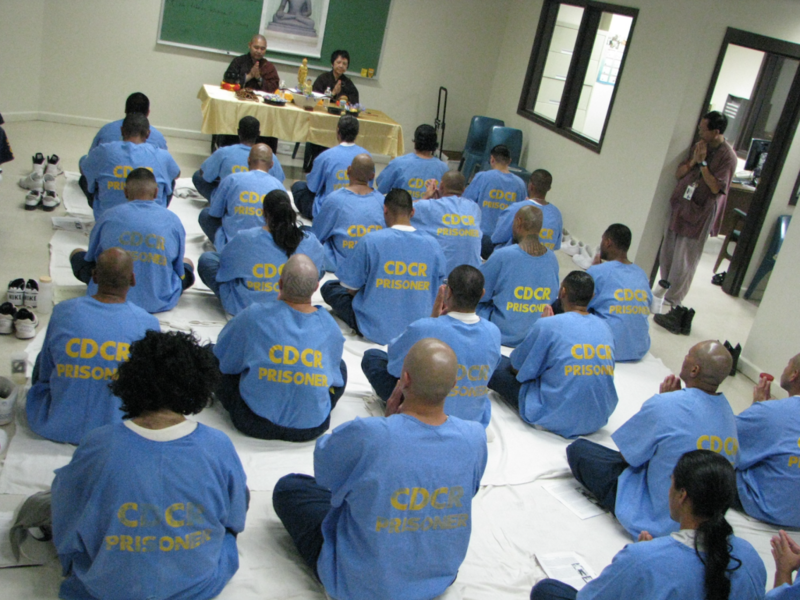 Through Dharma education, many inmates found their inner peace and spiritual comfort. 截至2017年年中, 菩薩寺前往加州，俄勒岡，華盛頓和安大略省（加拿大多倫多）佈教的監獄共有33所. 巳經成立的監獄圖書館共有21所. 我們計劃在2017年的其餘時間再設置20多個佛教圖書館。展望將來在各方熱心人士護持下,能夠在加州36所監獄內均成立佛教圖書館. 讓受刑人士有机會學習佛法. As of mid-2017, IBS has been visiting 33 state prisons California, Oregon, Washington, and Ontario (Toronto, Canada). We are planning to setup 20 more dharma libraries for the rest of 2017. 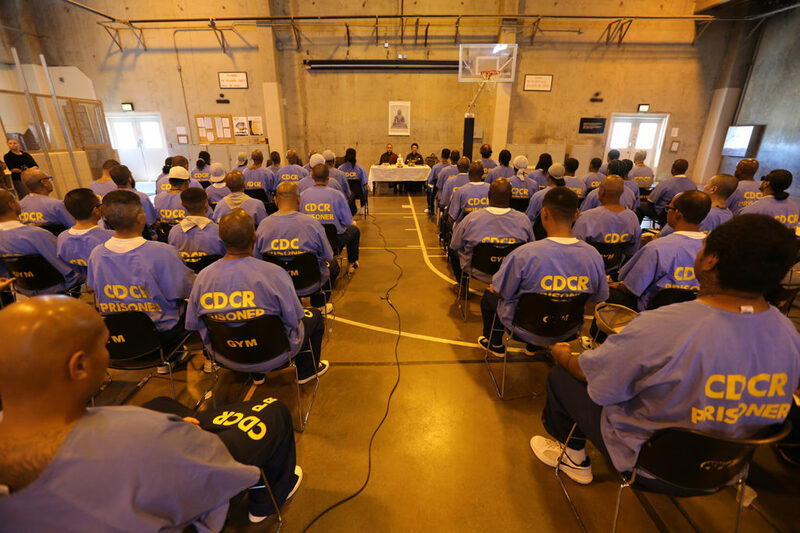 With the help of passionate supporters, IBS is planning to set up libraries in all 36 state prisons in California in the future. 菩薩寺是一個小團體, 一切經費來源自各方善心人士捐贈. 由於你的慷慨解囊, 讓我們有更多机會去幫助受刑人士來改過自新. 使他們有勇氣再面對社會.做一個有貢獻者. IBS is a small organization, and all the funding comes from generous donations from our supporters. With your generous gift, we will have more opportunity to reach more inmates with our prison program, giving them strength and courage on their path in becoming a contributor to the community when they are released. IBS introduced a $10 Monthly Donation Program for anyone who would like to support the activities included in the Prison Program. If you would like to make a donation, please press here. Today I would like to introduce one of the former students of IBS Prison Sangha. His name is Christopher Wagner, one of the good Buddhist practitioners in the Iron Temple. After 17 years of his retreat in the Iron Temple, he is a free man again. He took three refuges and 5 precepts a long time ago and became a vegetarian. He visited the IBS Temple in San Diego to give his thanks for supporting him during his retreat in the Iron Temple. I think the credit goes to all our supporters and volunteers. Here he would like to share how he met IBS in prison and what kind of changes he had.